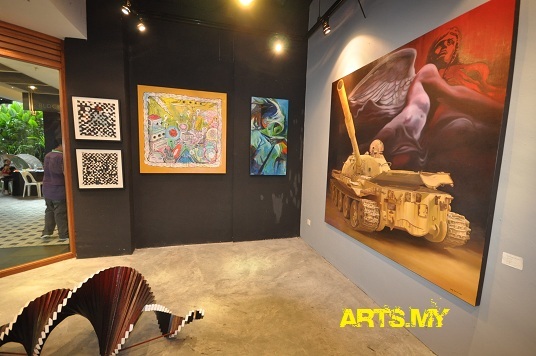 As part of the government’s effort to promote Malaysia in the world through art, a group of Russian artists will be travelling around the country on a 3-week residency programme. This is where they will be capturing the essence of the Malaysian local landscapes with which they will then document them into a coffee table book. Datuk Seri Dr Ng Yen Yen, the Minister of Tourism announced that this programme would boost the country’s image in Russia in their effort to create better tourism ties between both the countries. She said that on top of that, the ministry is currently working to boost the tourism in Malaysia and Russia through creating direct flights as there are currently no such arrangement. The group of artists is led by Vladimir Anisimov where he said that once the works are completed, they will be showing them off at an exhibition scheduled for next year. Other artists involved include painter Mikhail Stoiachko, Lyoudmila Youga and her husband Nikolay Pogorelov who is an art photographer. Anisimov also said that this is the first time that Russian artists have visited Malaysia and that they were very impressed by the unity and harmony in the country as well as the warm welcome they received from Malaysians. So far, they have already made their rounds in Kuala Lumpur and Malacca where they have already captured some of the iconic landmarks like Dataran Merdeka. They will be going to Taiping after Raub before heading to Alor Star, Langkawi with the final stop in Putrajaya.